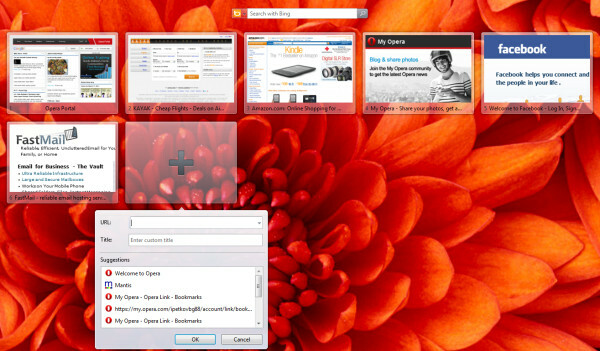 Today Opera Software released the beta version of their latest browser. 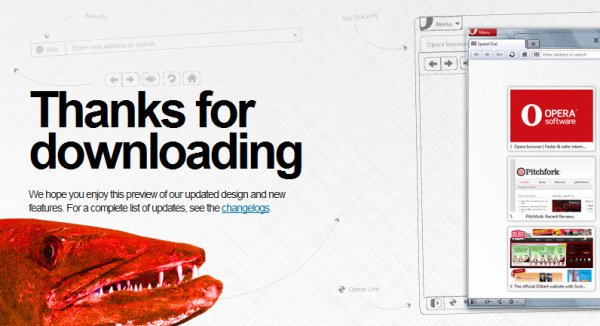 The beta is supposed to be faster, with enhanced friendliness and usability for both consumers and developers. A new Speed Dial comes along with the new beta. This is the convenient first page, which arranges your favorite sites for easy access. It’s a key feature of Opera and most people, using their browsers are well fond of it. The new Speed Dial adds new fields as the free ones get piled-up. And there’s a zoom option to manipulate the thumbnails’ size. The plug-in functionality is supposed to be improved, too, adding background install, so that users won’t be bothered with it. For example the Adobe Flash plug-in could be easily added without the blink of an eye – seamlessly, without your interaction. Finally, the new Opera 11.10 “Barracuda” adds more exotic features such as extended support for CSS3, support for the Google’s WebP image protocol and the Web Open Font Format or WOFF in short. You can go downloaded it and check it out for yourselves right here.